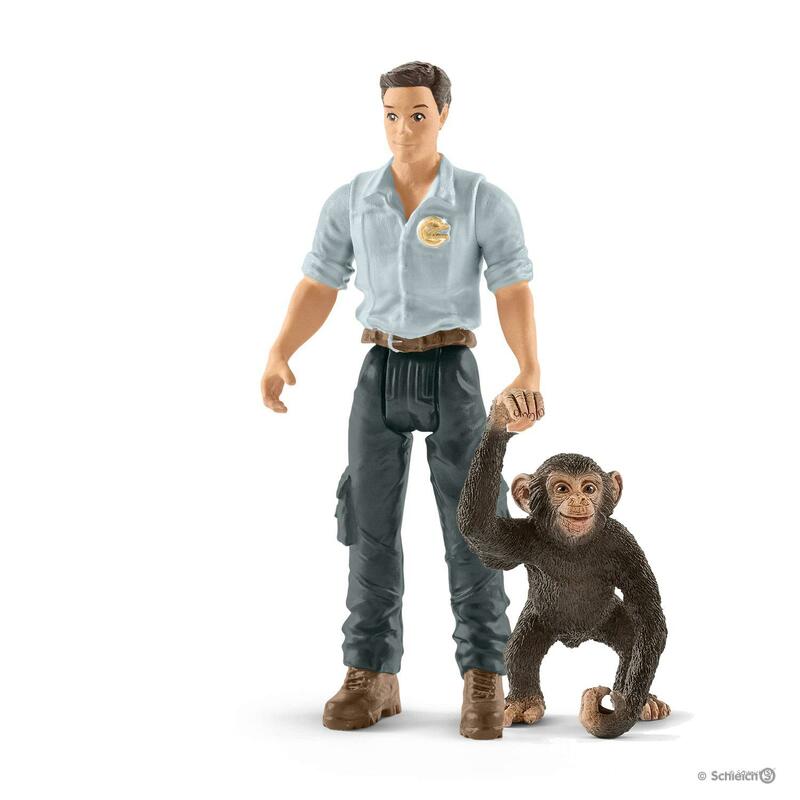 Time for an action-packed adventure with ranger David and his trusty companion, the young chimpanzee! The extendable winch can be secured on the front and rear of the vehicle and therefore ensures plenty of fun. 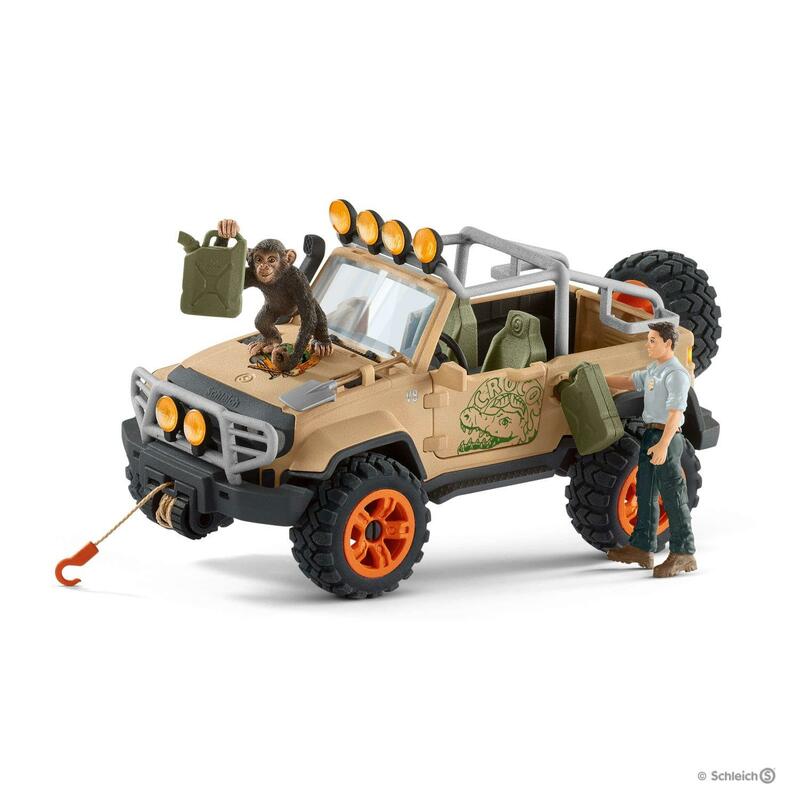 Set with 4x4 vehicle, ranger David, chimpanzee and great accessories. The Schleich figurines are exceptionally detailed, lovingly painted and allow children to play and learn at the same time. 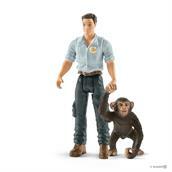 Time for an action-packed adventure with ranger David and his trusty companion, the young chimpanzee! Accompany these two on their wild journey through the jungle! Secure the extendable winch hook to the tree trunk to pull it out of the mud! Change a tyre or refuel the 4x4 vehicle with the petrol canister! Save injured animals with the veterinary equipment! Help them out the dense jungle and bring them to the CROCO research station! 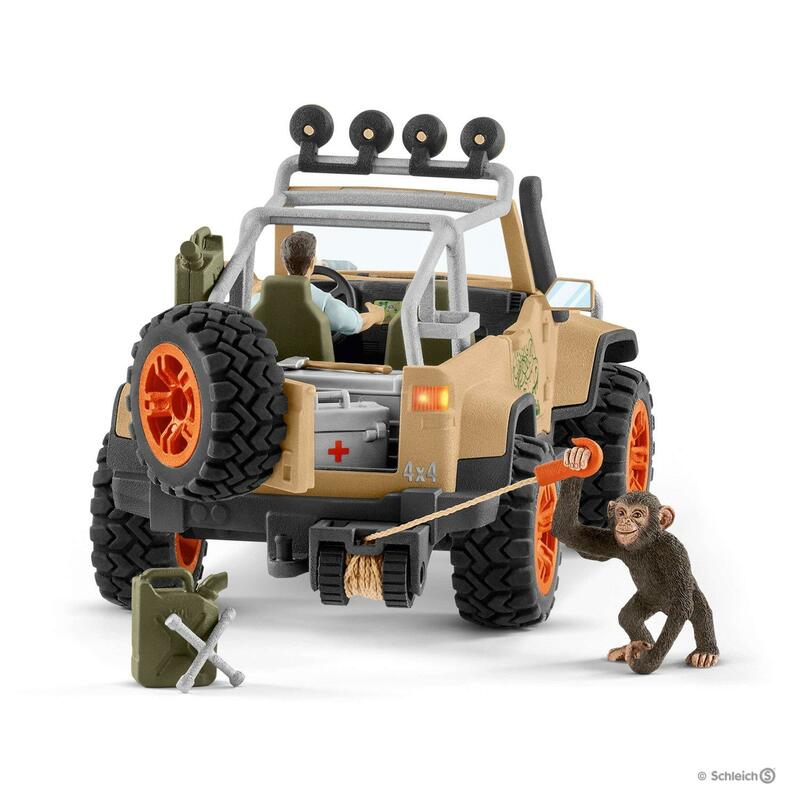 Set with 4x4 vehicle, ranger David, chimpanzee and lots of great accessories. The Schleich figurines are exceptionally detailed, lovingly painted and allow children to play and learn at the same time. 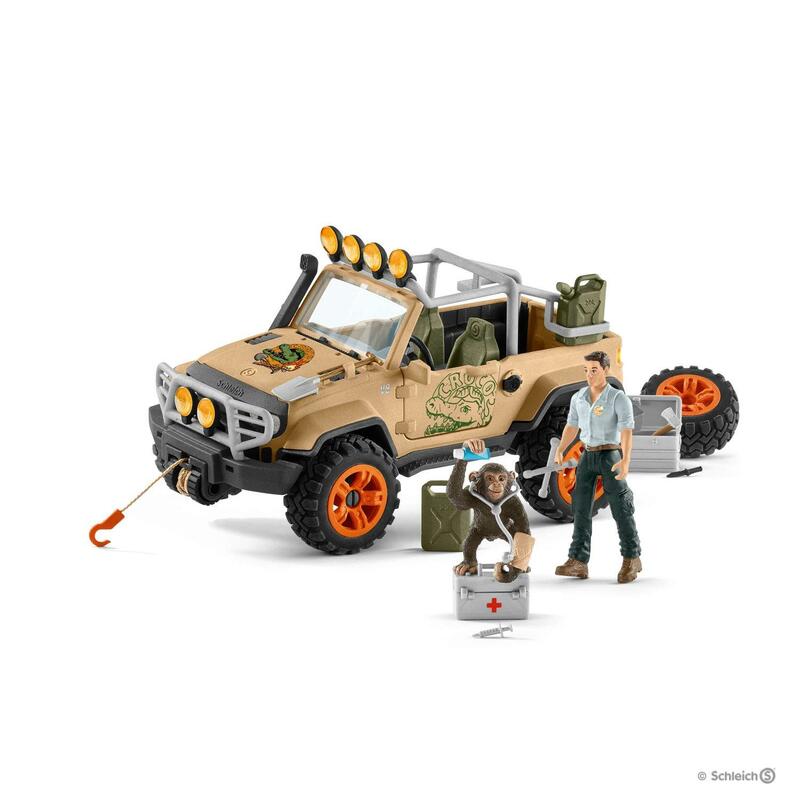 The set is the ideal addition to the 42350 CROCO jungle research station. 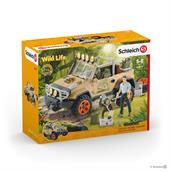 All the Schleich figures are lovingly painted with detailed modelling and allow kids to learn while they play. 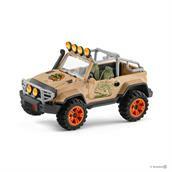 The vehicle can be pulled out of the dangerous jungle’s thick undergrowth using the winch! The winch can also be attached to the rear of the vehicle or be played with separately! The canister can be placed in the tank opening to refuel the 4x4 vehicle! Front and rear axle suspension! With tread tyres for good grip in the jungle and cool rims! Doors and boot can be opened and closed! Plenty of space for equipment! 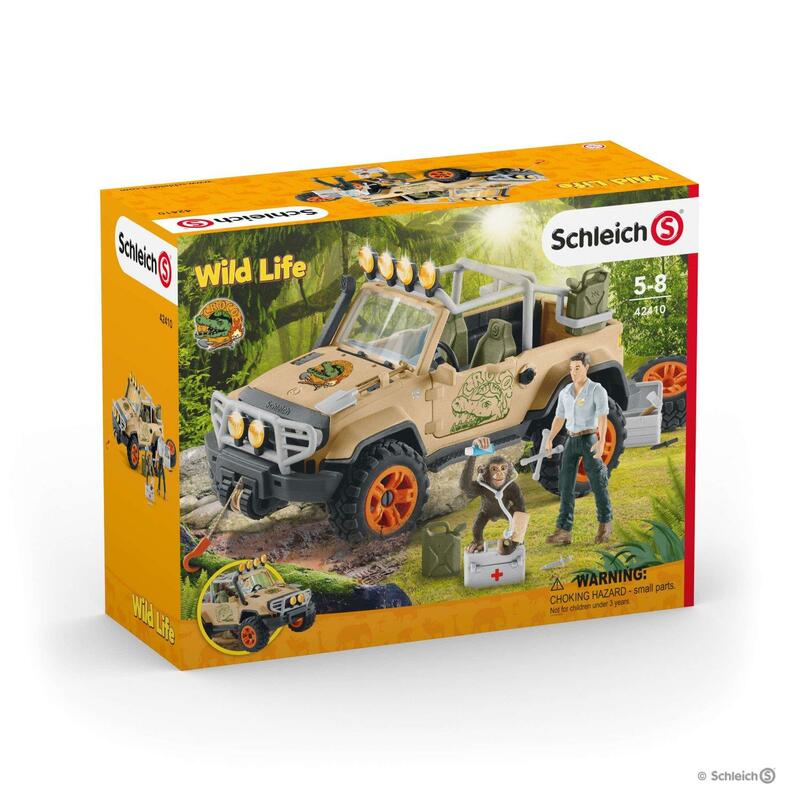 All Schleich trailers can be connected to the 4x4 vehicle using the trailer coupling!